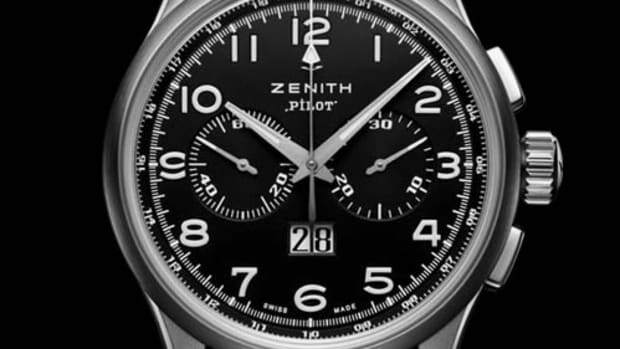 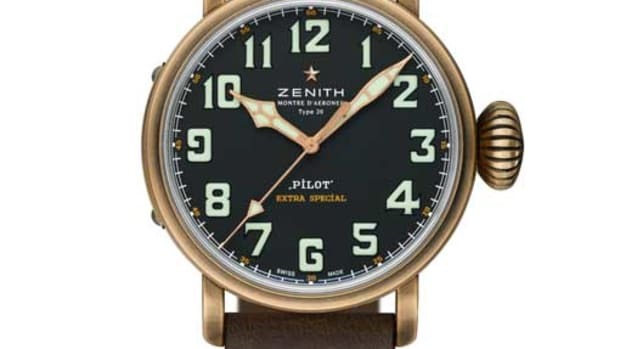 Zenith continues its Pilot range with the classically-styled Pilot Montre d&apos;Aéronef Type 20 GMT 1903. 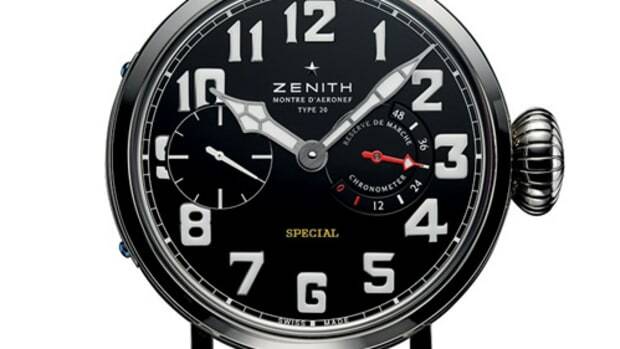 Big and bold at 48mm, the large case is a titanium black DLC and houses the company&apos;s in-house Elite 693 movement. 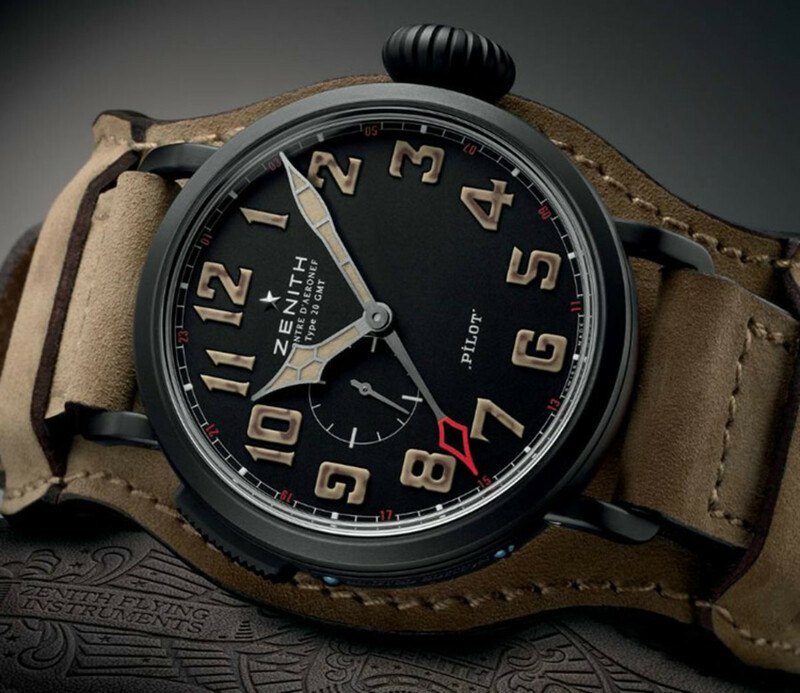 Atop the movement is a vintage-inspired dial with SuperLuminova Old Radium finish indexes and a dedicated GMT hand for travel.